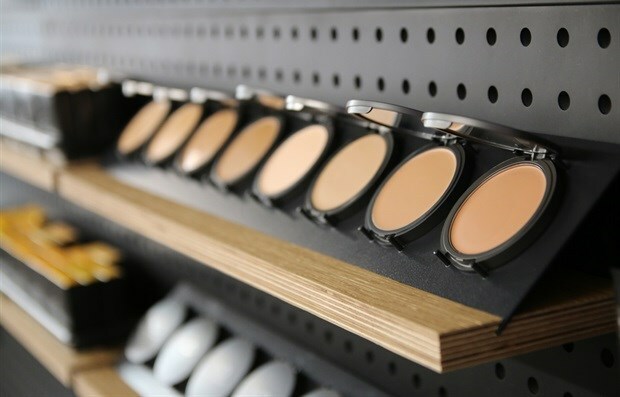 Beyond its reputation as a quality cosmetics brand in the professional makeup industry, what gives Make-Up Designory (Mud) Cosmetics the edge is that its roots lie in education. 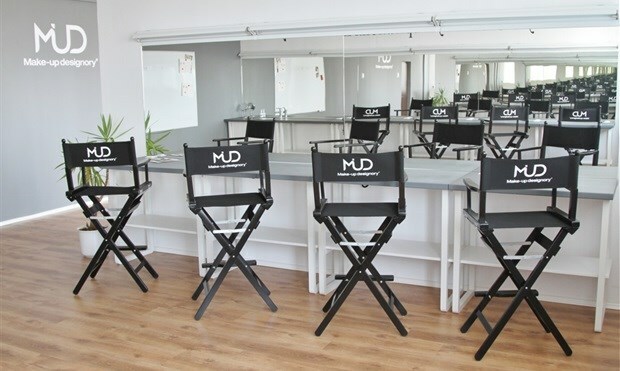 Described as the 'Harvard of makeup schools', Mud's educational programme was developed by Hollywood makeup artists in the late 1990s, with Mud products and tools introduced later to better equip the company's students during their courses. The Mud make-up brand is successful in its own right. 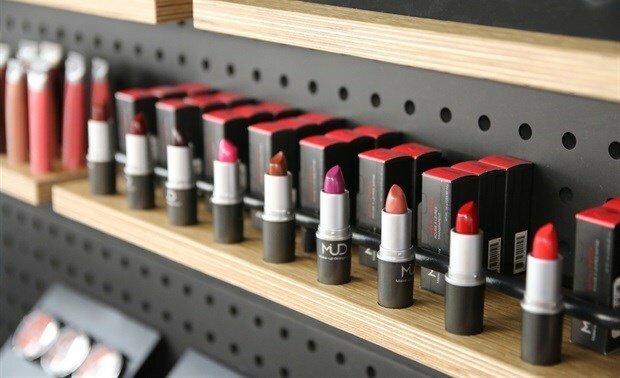 The focus on highly-pigmented products made with high-quality ingredients has led to Mud Cosmetics garnering a loyal following among the professional community as well as among amateur make-up enthusiasts. 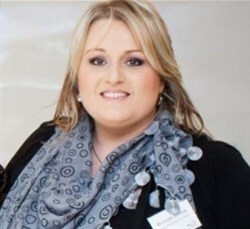 Brenda Botha is the accomplished make-up artist and entrepreneur responsible for introducing and growing the Mud Cosmetics brand in South Africa. Armed with the prestigious Cidesco qualification for Beauty and Aesthetics and more than 10 years’ experience in the beauty industry, she launched Mud in South Africa in 2012 after falling in love with the US-born brand from afar. Mud South Africa has since embarked on a new franchise business model, with eight franchise stores and counting, including three Mud-Certified Schools. A point of pride for Botha is that Mud remains a privately-owned business, both internationally and in SA, with a tight-knit family of Mud employees. "In a world largely dominated by giant corporations, and at a time of great economic uncertainty, it's nice to know that there are still smaller, independent companies who put the needs of their customers, partners and employees first. And this is why I will always be a Mud girl," says Botha. In the spirit of #EntrepreneurMonth, Botha shares with Bizcommunity her Mud journey, and the "grit and glitter" involved in living the life of an entrepreneur. How were you introduced to the Mud brand and what attracted you to it? It was serendipity. During 2010 I was working for a local makeup company, but I was in the process of being retrenched. Whilst travelling back from the Pro Beauty expo Cape Town, and waiting for my luggage at the O.R. Tambo airport, a random guy approached me and started talking to me about his brand. He was basically trying to head hunt me there and then to work for his company (Mud Cosmetics - a local South African 'body shop' brand). I was not interested at the time, but still took his card. When the retrenchment became a reality a few months later, I took the card and tried to visit his website, however, the website was down. This is when I googled 'Mud Cosmetics' - and I did not find his company, I stumbled upon Mud Cosmetics, the colour cosmetics company from LA, USA. I immediately fell in love with the look and feel, the branding, the professional look and appeal. I just had a feeling that this is what I was going to do. So I contacted them that same night and enquired about the distribution rights for South Africa. My samples I ordered arrived about two weeks later, and when I received it and experienced the quality of the products, I was even more eager than ever before to work with this company! Can you speak about the strong focus on education as part of the MUD offering? 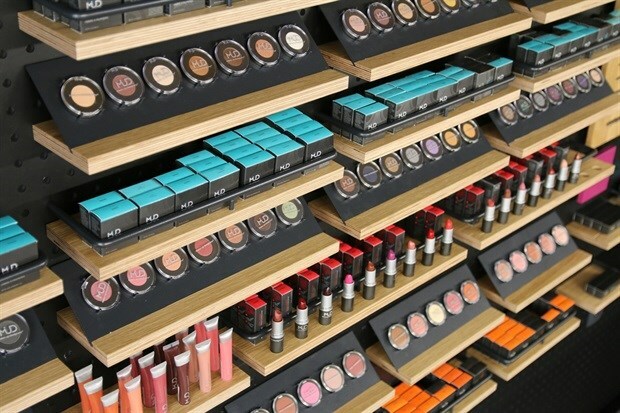 So Mud Cosmetics started in 1997 In North Hollywood, California - not as a makeup brand, but as a makeup school. The products were only part of the demand and organic growth of the brand, seeing as Mud at times required products to work better to fit in with their high-quality education. So they had to create their own. The education element about Mud is what sets us apart from other brands. This is our niche market. 'An Educated Approach to Makeup'. Every single product we have has a small step by step section, prescribing the best tools that works in synergy with each product. Every Studio has free workshop sessions and 'Tips and Tricks' series for our consumer clients to educate them on the best product, tools and techniques to suit their special needs. We are not in 'drug stores', as we want to control the quality of the artist who works in our stores, being qualified artists whom we can constantly train and develop to become stronger artists and eventually business owners. For prospective makeup artists, we are proud to say that Mud is the largest makeup school on the globe, and is producing award-winning makeup artists year after year. Broadly speaking, what are the key differences between professional make-up brands and mass-produced 'drug store' lines? Pigment. Higher quality ingredients. Not all products are created equal - it comes down to the milling and pressing too! And apart from this, we have a team of professional industry makeup artists working with our brand manager and development teams on the product line, and each and every batch (as in every single run and re-run) of products has to be quality approved first before it gets sent out for orders. How has Mud South Africa grown since its local launch in 2012? We had to shift our focus a few times due to various factors, but mainly due to the economy and the exchange rate. In 2012 we focused our attention on supplying the beauty colleges with student kits. Then we had some enquires from salons wanting to stock our product range, so from 2013 we introduced retail display units to the professional salon market. We appointed region distributors to service the various provinces within South Africa, and the brand grew in awareness and we managed to gain some of the market share. One constant issue was always to be able to have more control in terms of quality communication of the brand, customer service, stock availability and increasing our footprint nationally. Hence we started with franchising in 2018. Can you speak a bit more about the move into franchising and its benefits for the brand? The reason behind this was mainly to overcome the challenges we faced regarding control for quality (product availability, services, customer service, etc.) and having a national footprint. We have experienced huge demand from various entrepreneurs knocking on our door wanting to open a Mud shop, and this got us to plan for a Mud Studio model that will be sustainable in the SA retail world. We travelled to the USA to meet with the owner of Mud International and pitched our idea and plans of growth for the African continent, and he gave us his blessing. As an entrepreneur, what inspires you, personally and professionally? When someone succeeds after many challenges and battles. Especially if they do it all on their own. The grit and glitter of it all! Personally, I am inspired by people with heart. Staying true to who you are, staying humble and understanding that everything we have is grace. People who have a spirit of excellence truly makes me happy! What were the biggest challenges you faced along your startup journey? They were most definitely financial. Not starting with enough capital, and not having any cash flow for the first few months humbled us a few times. This is where we learned to stay on our knees, work smarter, adapt faster - but this also helped shape us into stronger entrepreneurs. We are thankful for every lesson learned! Are there any notable trends you've picked up in today's make-up space? There have been a few. They come and go so fast. As a smaller company, it is difficult to always stay abreast of all of these trends, we are not always able to design or compile certain products that are trending due to numbers. Only if you are a big conglomerate you would be able to bring out limited-edition items, knowing full well that the trend will also pass until the next new trend comes around. One trend overall that we have noticed, which keeps increasing year after year is the amount of 'self-taught' makeup artists, vloggers or influencers, mainly found on Instagram. Companies with massive marketing budgets pay these individuals to promote their brands on social media worldwide, with huge incentives, trips and monthly giveaways. If you could go back in time and give yourself one piece of business advice, what would it be? To work on finding a balance sooner. To have time for myself too, for my health. I have a supplier who always laughs at me and jokes: "Mud always wins in your life". I have not yet managed to strike that golden balance between work, health, and personal time with myself and family. It is difficult to switch off. Yet I know that you produce better work, and give a better version of yourself if you do allow yourself that balance. Apart from the Mud Studios we will be opening year after year - we have two main focuses areas we're working on: expansion into sub-Saharan countries and opening the Mud campuses in Johannesburg (2-year plan ) and Cape Town (3-year plan). For more information on Mud visit the website and connect with the brand on Facebook, Twitter and Instagram.